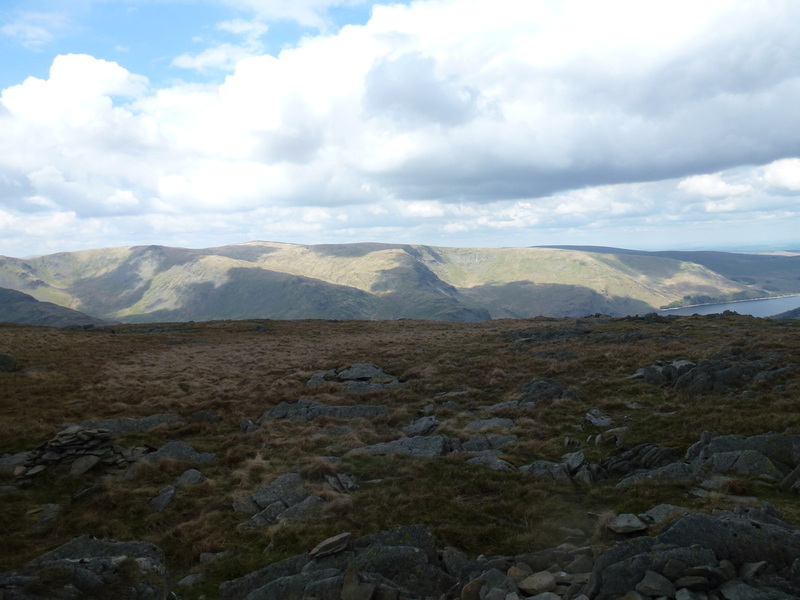 Good mountain paths mainly although the section between Tarn Crag & Branstree is boggy in part. Sunny for the most part becoming overcast later with fresh breezes. This walk gets a bit of a bad press because of its reputation as a bogfest. 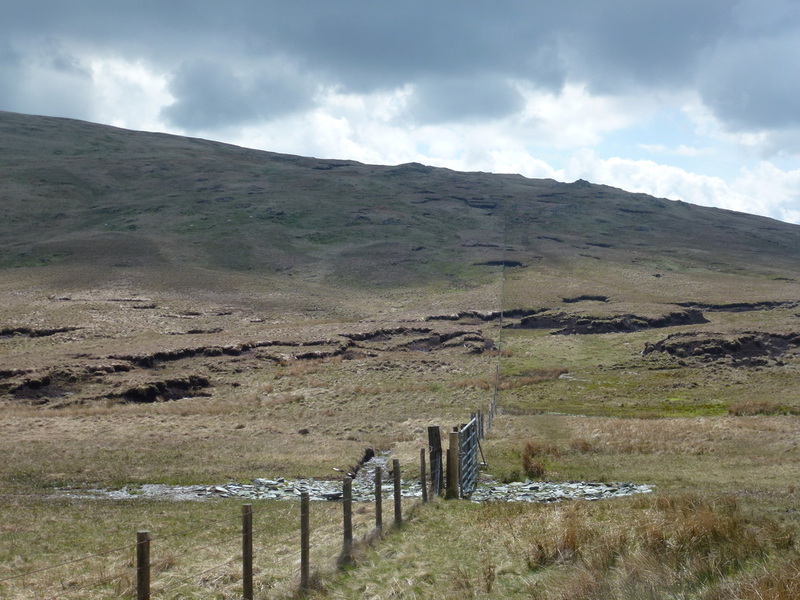 True, it does have its fair share of the wet stuff, but this is mainly confined to the section between Tarn Crag & Branstree where there are a few peat hags to negotiate in addition to boggy ground. 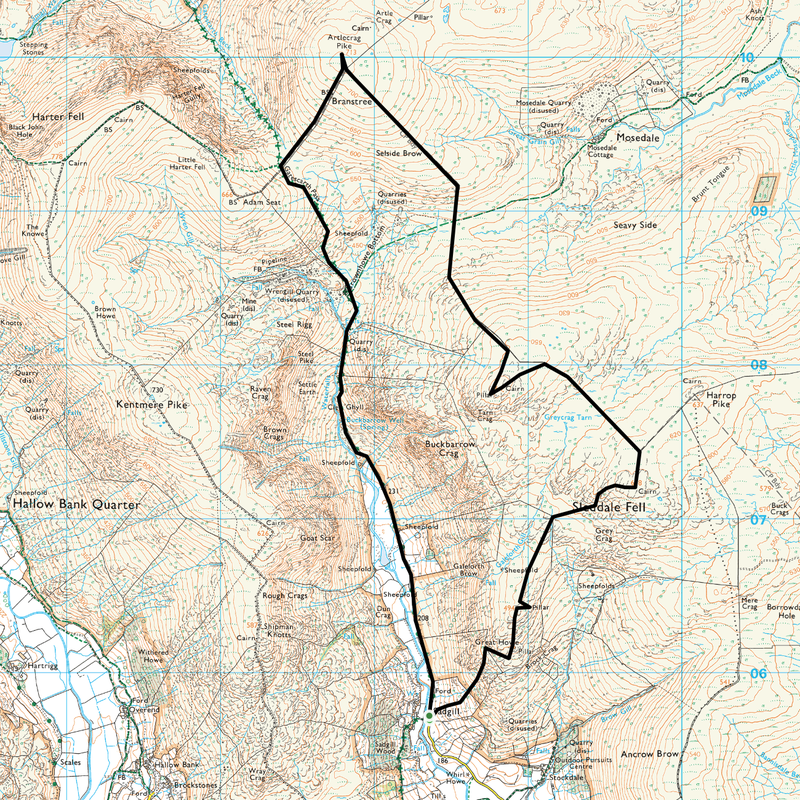 Don't let this put you off - it is a good walk and you are likely to see few people on this route. 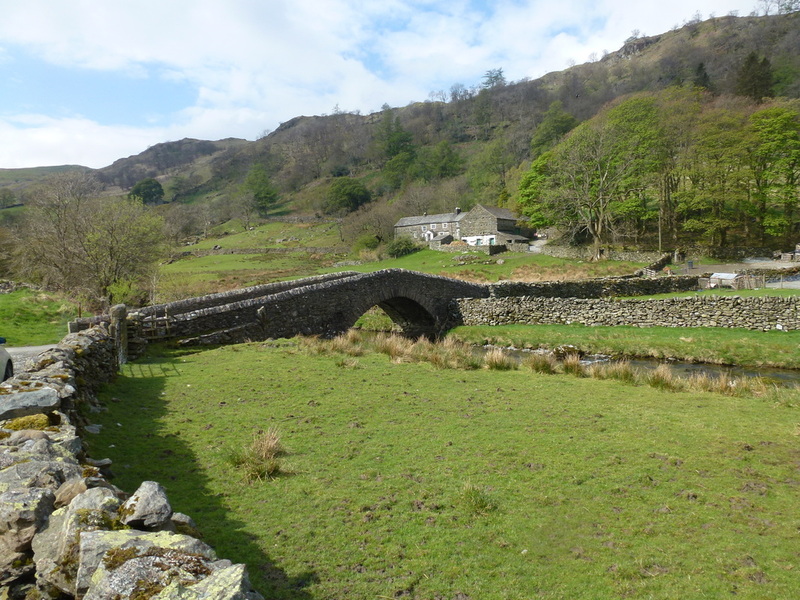 The walk starts from the bridge at Sadgill which is a small hamlet in Longsleddale. To reach Sadgill leave the A6 Shap road near Watchgate and follow the minor road up the Longsleddale valley as far as you can until the road runs out. 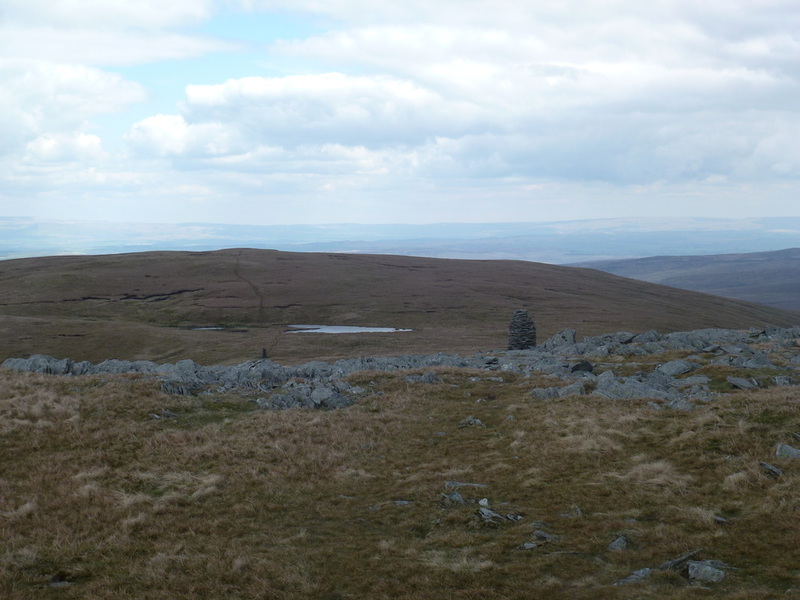 From Sadgill the route gains height quickly to head up a gully to reach Great Howe, near to which is a survey pillar which is one of two visited on this walk - we would see the other one later on the summit of Tarn Crag. From Great Howe the incline eases and soon the summit of Grey Crag is reached via a short pull up to reach the top. 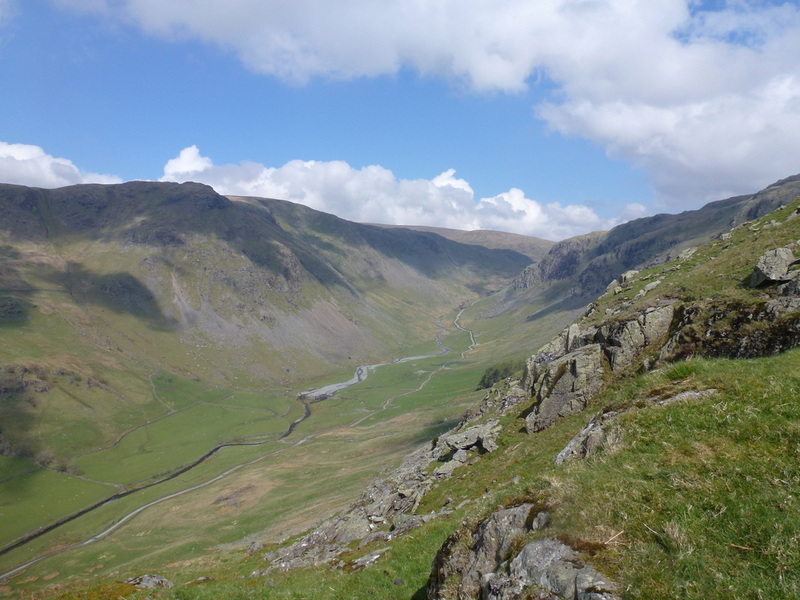 There are good views to be had from Grey Crag especially over the valley to Kentmere Pike and the route ahead to Tarn Crag. 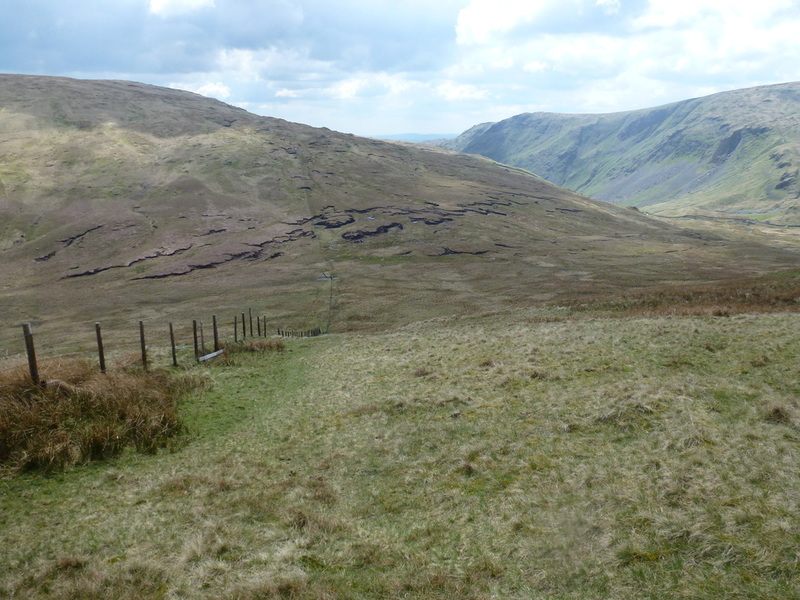 From the summit the route drops down slightly to reach a fence and this is followed over fairly level ground until a path heads to the south west to gain the summit of Tarn Crag. 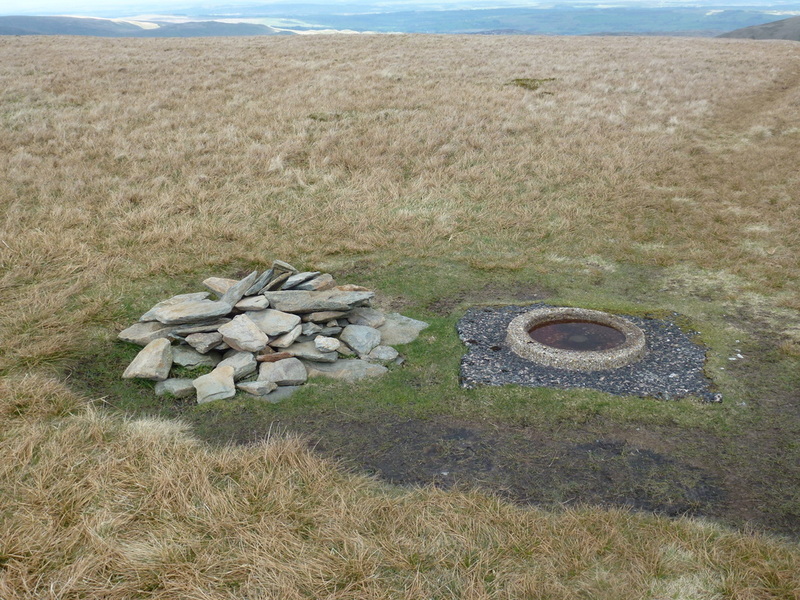 In addition to the summit cairn another survey pillar adorns the top, sat on the edge of a small tarn. Leaving Tarn Crag we headed back to regain the fence which we would now handrail all the way to the next peak of Branstree. 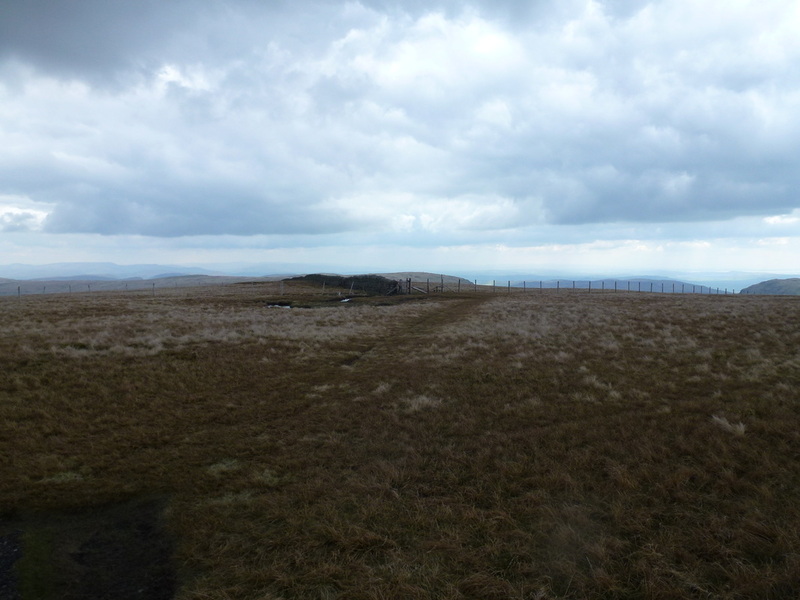 The fence line loses height at first as it heads down to the col at Brownhowe Bottom - it is on this descent that we had the worst of the boggy conditions although to be honest it was not too bad. 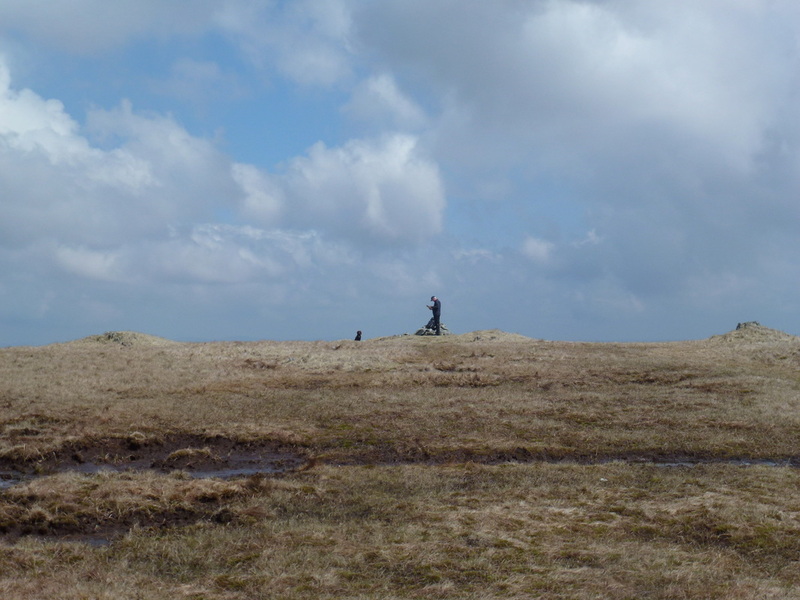 There is the odd peat hag to negotiate but all in all the descent down to the col was ok underfoot. 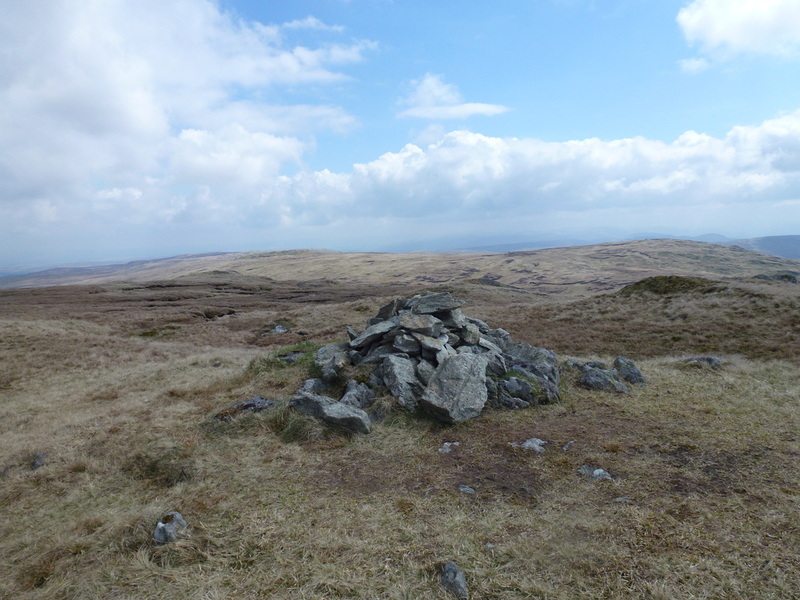 Reaching the col at Brownhowe Bottom, the gradient increased gradually as we continued to follow the fence line to reach a fence corner - the summit of Branstree lies a few yards away from here and is marked by a small cairn and a circular trig point which is embedded into the ground. At this point it was decision time - do we nip over to grab Selside Pike or carry on with our intended route. 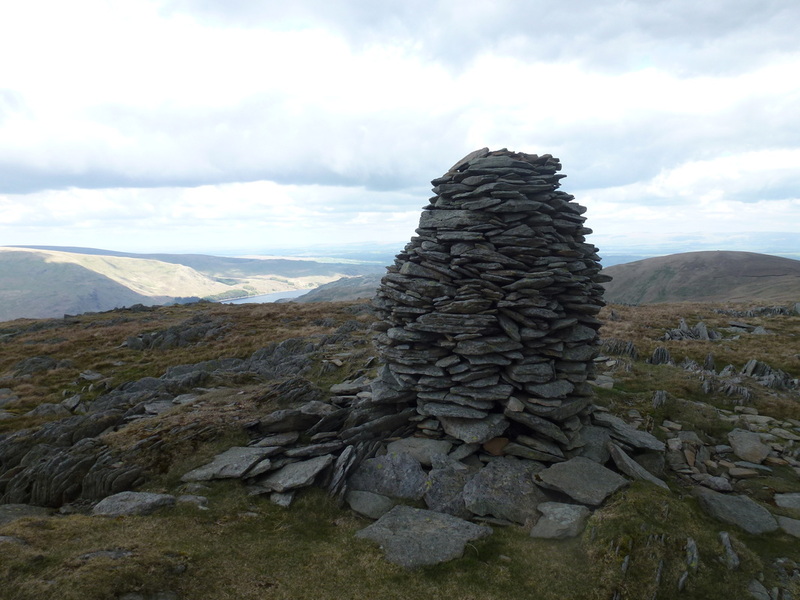 In the end we decided not to go to Selside Pike but instead did a short out & back to Artlecrag Pike - a subsidiary top a little to the north which has two fine columnar cairns built from the nearby outcrop of flaky rocks. 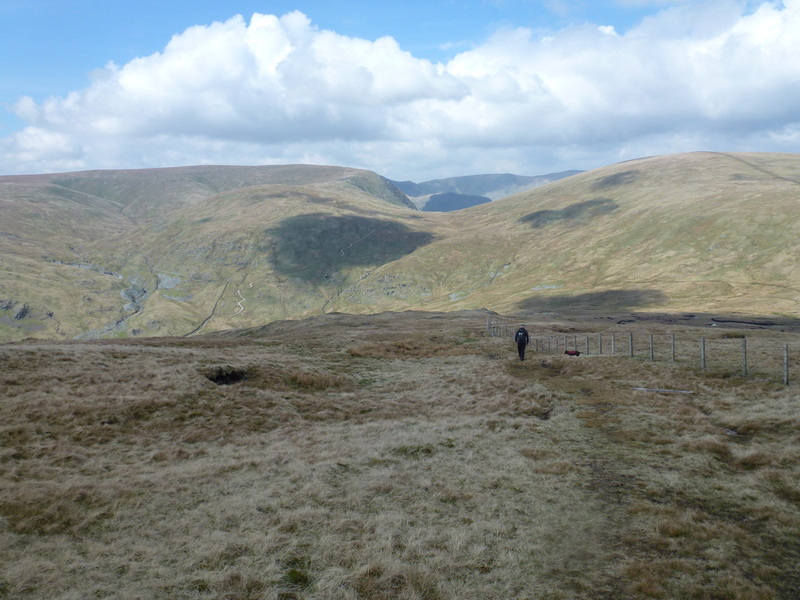 Back at Branstree we headed off the fell via a sometimes boggy but quite steep descent to join the Gatesgarth Path. With the climbing now over, it was time to enjoy the delightful descent back down the lovely valley of Longsleddale to reach the start at Sadgill. The survey pillar near Great Howe. 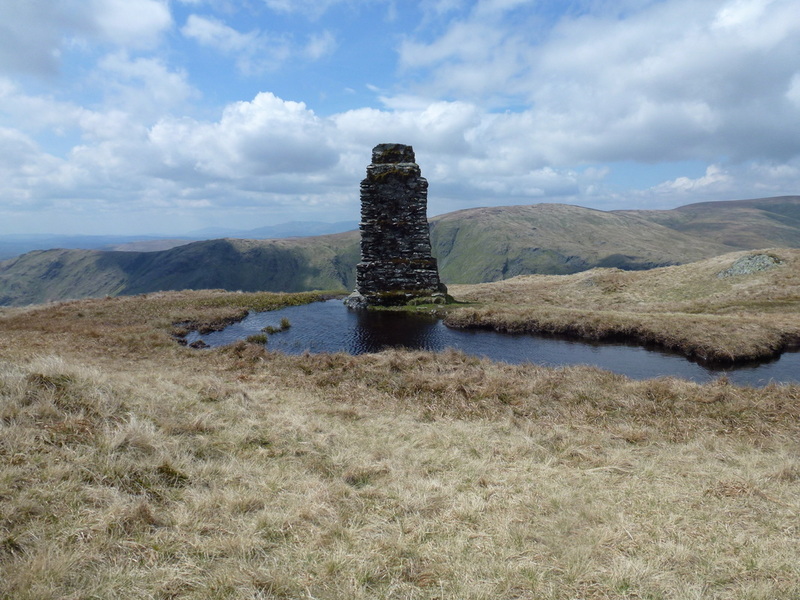 Both this and the one on Tarn Crag were left over from when the Haweswater Dam was being built. He is crap at posing for photos - as is Fudge!! 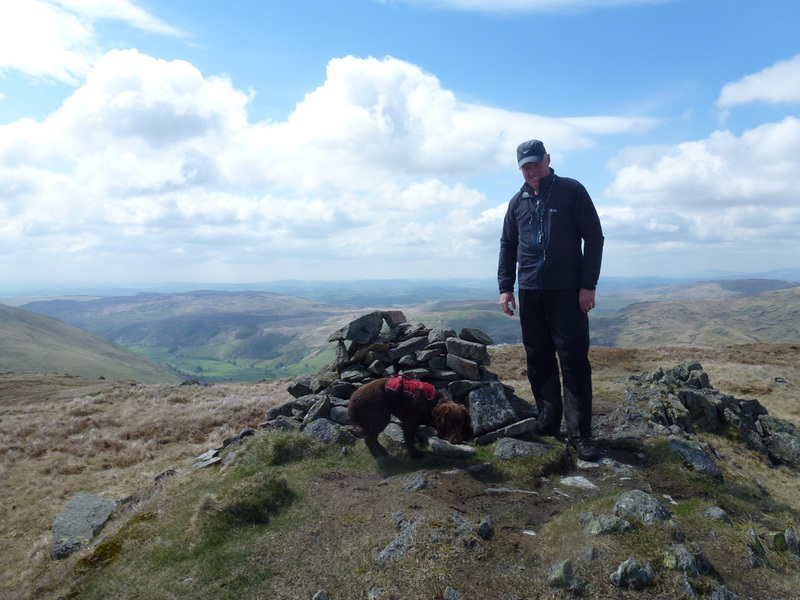 On the summit of Grey Crag. 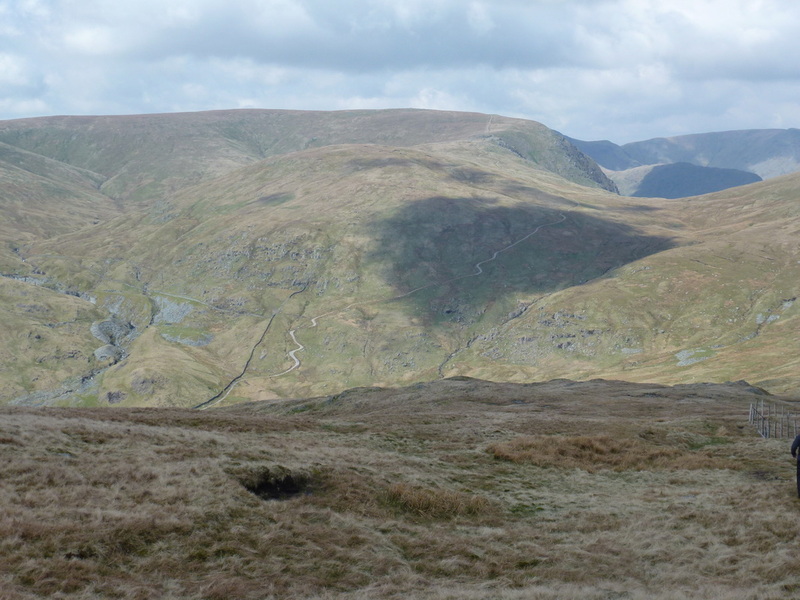 Looking over Brownhowe Bottom towards Adam Seat in the foreground and Harter Fell behind. Looking further to the right on our transit to Branstree. 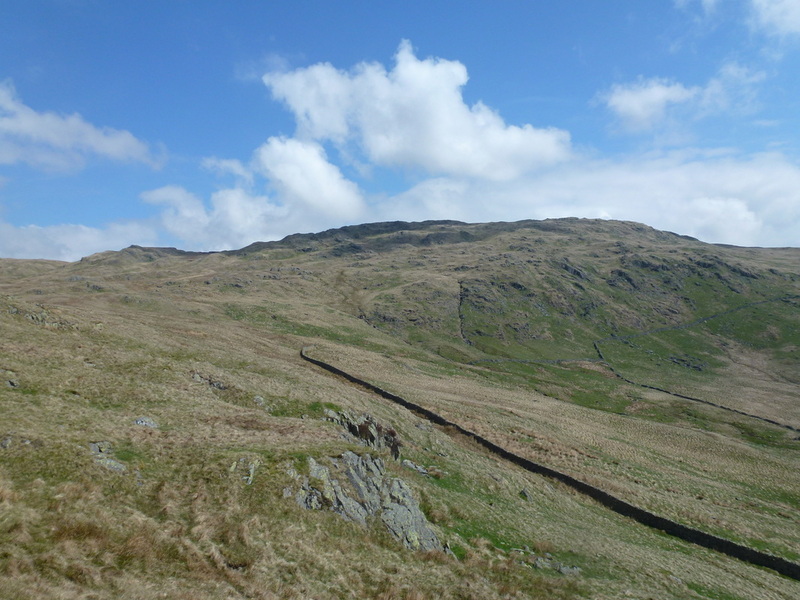 ​We hand railed the fence from Tarn Crag which headed right to transit a boggy section before heading up to the summit of Branstree (right). 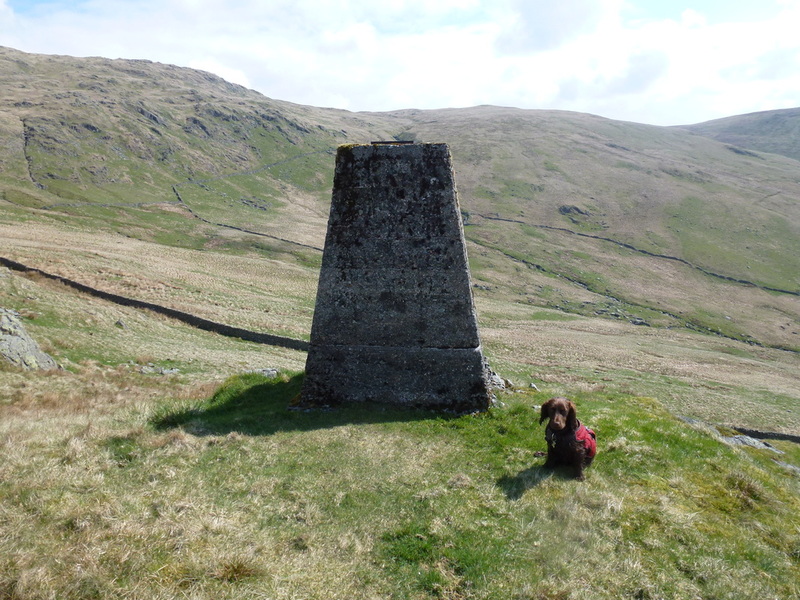 The summit of Branstree - complete with a doggie drinking bowl !